Whether you need to cut, bend, punch holes, drill or saw metal, we carry a full line of metalworking and finishing equipment to accommodate all of your metal working needs. Let us help you enhance your productivity and reduce your cost to manufacture. While working with you to optimize your solutions, we are invested with you from the initial sale and all through the installation and training process. While there are many new equipment manufacturer's promoting their product, we represent industry proven, quality products. 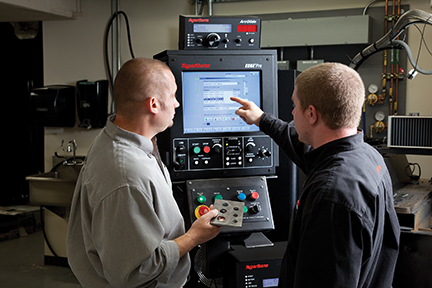 Call us today to schedule an appointment to meet with one of our machine tool specialists who can asses your needs and recommend the best equipment to increase your productivity and quality.